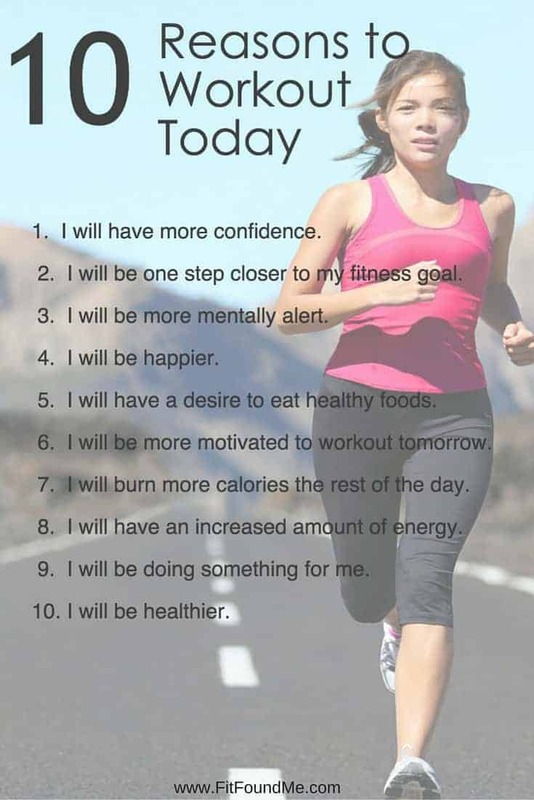 Here’s a nice dose of motivation with 10 reasons to workout today. Even the most avid exercisers need a little motivation. Often times, people have one goal in mind when they start a workout routine – to lose weight. Losing weight is a great goal for exercise, but somewhere along the way, women who exercise routinely realize there is a lot more to it than losing weight. That’s when regular workouts become a part of our lifestyle, they begin to define us. Women over 40 begin to find themselves again. True story. It happened to me and I know it can happen to you. Sometimes we have days when the stars are not aligned in our universe and working out is not what we feel like doing. No matter what our fitness level, there will be days when motivation feels lost forever. On days like that, it’s great to be able to remind ourselves 10 reasons to workout today to give us that motivational bump. Here in “sunny” St George, Utah, it is a cloudy, cold day. I just want to crawl back into bed. Probably not unlike most of you are feeling during these cold winter months. There are a lot of reasons we need to push through and get our workouts done, even when the weather outside is frightful. Motivation is what we hold internally that drives us to do many things, some for ourselves, a lot for others. Often it is more difficult to make a sacrifice to do something for ourselves. As women, we generally are innately driven to sacrifice for those we care most about. If you are having a hard time creating a routine of working out, there are many ways to get through it. Maybe it would help to have a shorter routine. This 30-day plank challenge is great for strengthening muscles in only seconds a day. Or how about creating your own 10 min or less workout with this list of activities. Don’t let the time fool you. Your body will love you for even taking a few minutes a day to strengthen it. It all adds up and will make difference. I am a perfectionist at heart. It took some time for me to realize workouts don’t always have to be what I deem as perfect. Even consistency doesn’t have to be perfect. It’s so much about just doing the best you can and not being so hard on yourself that you give up. Take the time today, for yourself so that you can be better prepared to do the other things you desire. Print the poster (give me your email in the box and I will email a download link to you) and post it where it will be most beneficial for you. I will have more confidence. I will be one step closer to my fitness goal. I will be more mentally alert. I will be smarter about what you eat the rest of the day. It will be easier to workout tomorrow. I will burn more calories the rest of the day. I will have an increased amount of energy the rest of the day. I will be doing something for me. Need a great calorie burning HIIT workout? Not bad. Maybe we can collaborate, or anyone else with same niche site. By exercise, our nervous system activates the hormones for happy hormone release, Endorphin. Be stress-free is key for weight loss as it boosts metabolism and we burn more calories, helps us in better sleep and keep us motivated for a workout. Thank you Stephanie! Email received 6.15am on this dark freezing winter morning. Message received. Good news is I’m on it NOW! Kelly, So happy the email arrived to you just at the right time! Hope you had a great workout! Check out my latest post on workout playlists! Hopefully another motivator for your cold, dark mornings! Won’t we be so happy for Spring!!? ?